Two weeks to go until we jet to America for our nuptials, and another weekend closer to ticking all the boxes of our pre-wedding checklist. 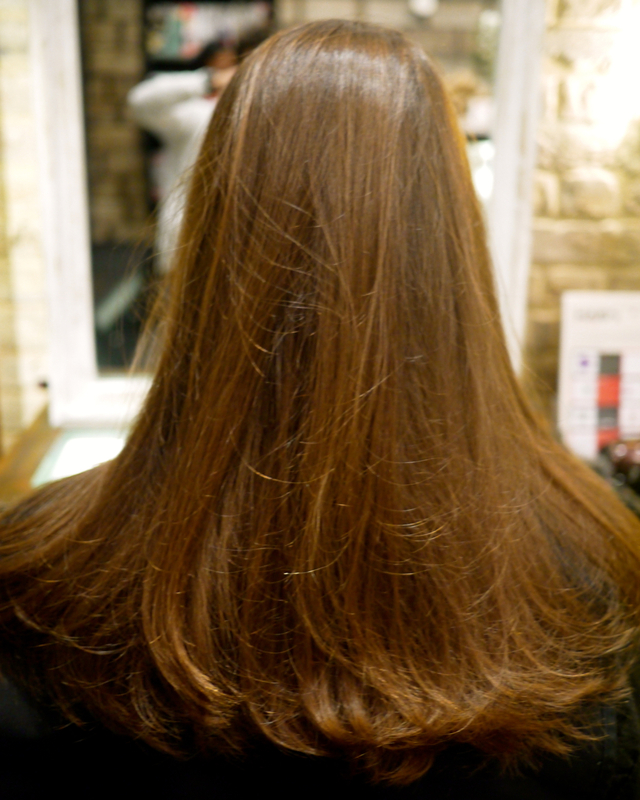 This weekend it was gift shopping and my pre-wedding hair cut! 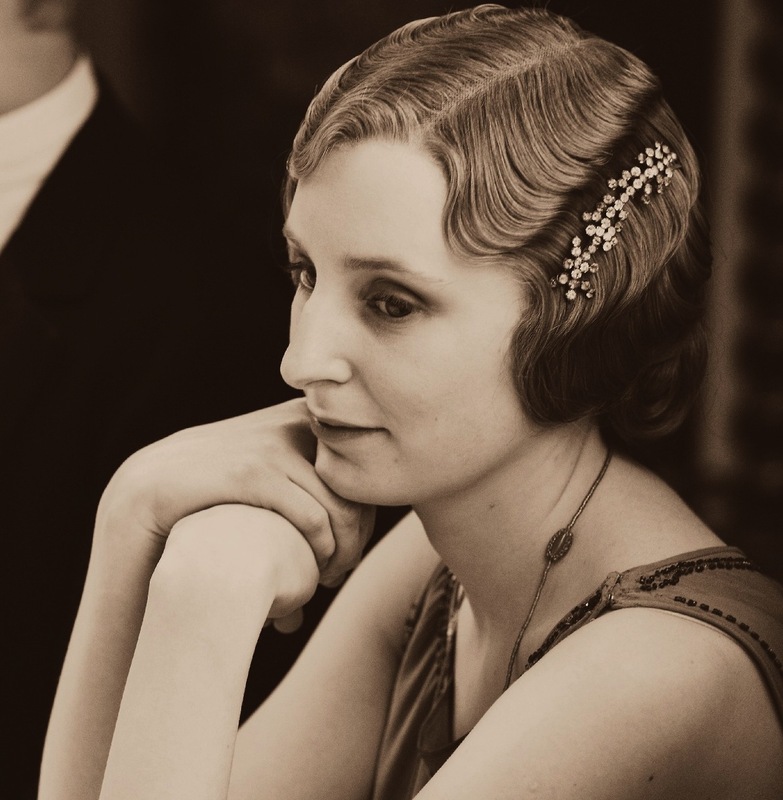 There was really only one place that would do for all the gifts to our wedding attendants – a place very dear to me, which has a very special story – The Victoria & Albert Museum. She went on to recount it as the happiest day of her life. I think her notes about her special day are quite romantic considering the English monarchy are usually known for their restraint and “stiff upper lip” – and this was during austere Victorian times! 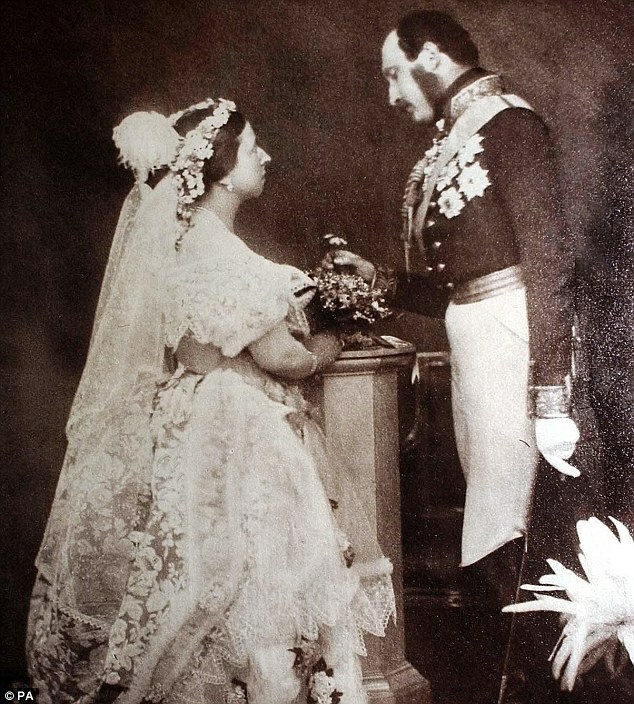 Victoria and Albert’s marriage was the beginning of an enduring love story. Likewise, the museum dedicated to the couple has also endured a lot. 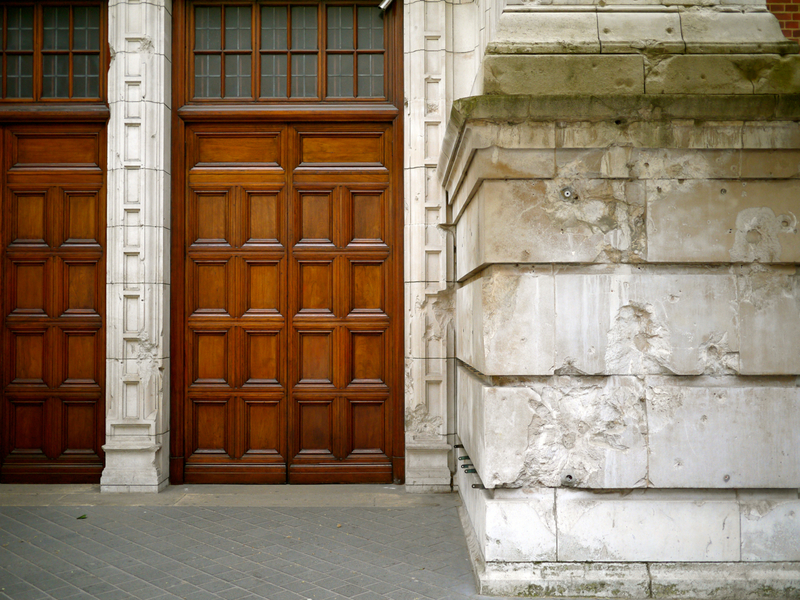 The building still bears visible scars from the Blitz of World War II. 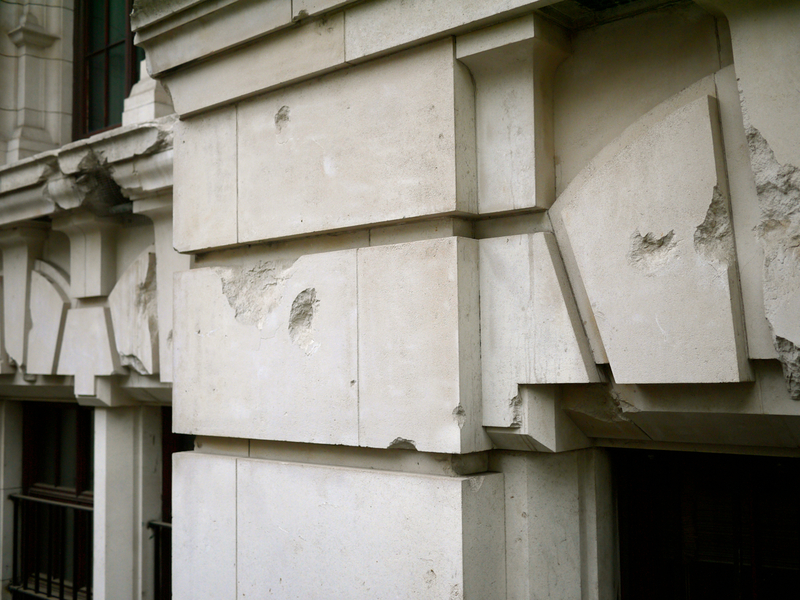 The pockmarked damage on the walls caused by shrapnel from the bombs was left as a memorial to the enduring values of the museum. 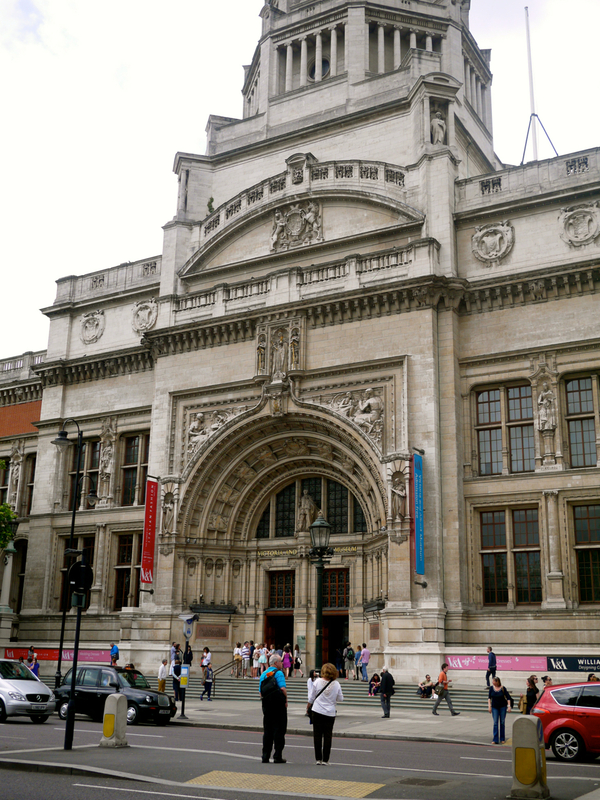 According to the V&A’s mission statement, it aims to be the world’s leading museum of art and design. And therefore, a totally appropriate place to pop in and shop for my wedding! The V&A Shop is amazing for finding unique gifts to suit all ages and pockets – and I easily came away with a couple of hefty bags filled with booty. 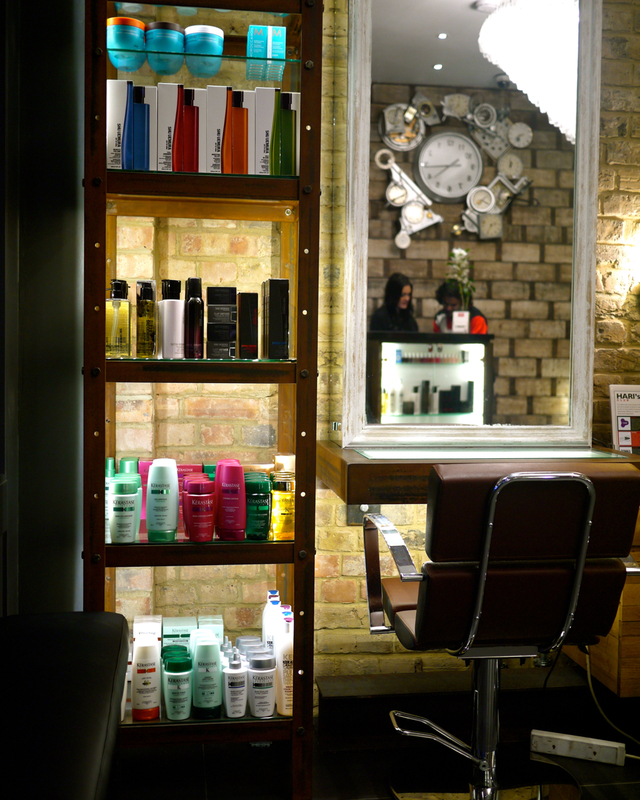 After the buzz of a successful shop, it was time to hit the salon and relax. 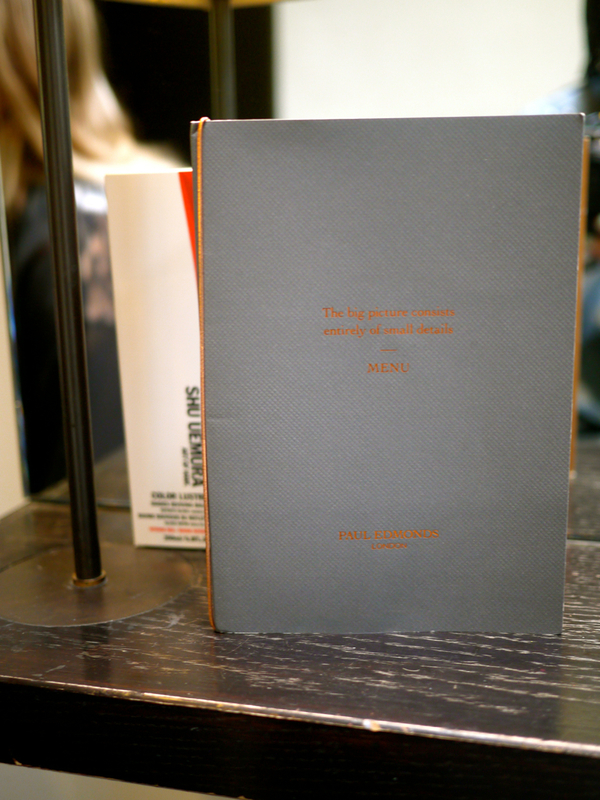 I’m flat out obsessed with Paul Edmonds salon at the moment. 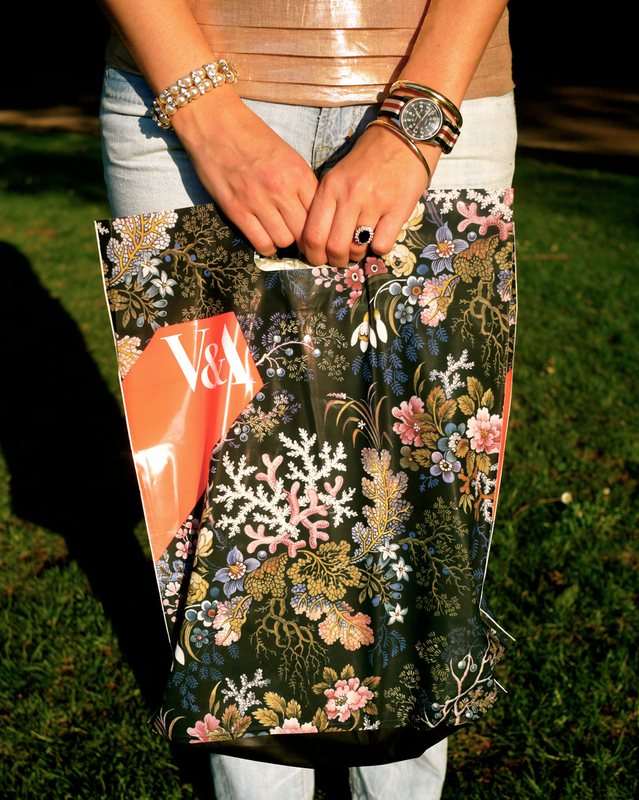 Just steps away from the V&A on Old Brompton Road, it couldn’t have been more convenient. I wasn’t going to get a haircut before the wedding, but everyone kept telling me I had to. 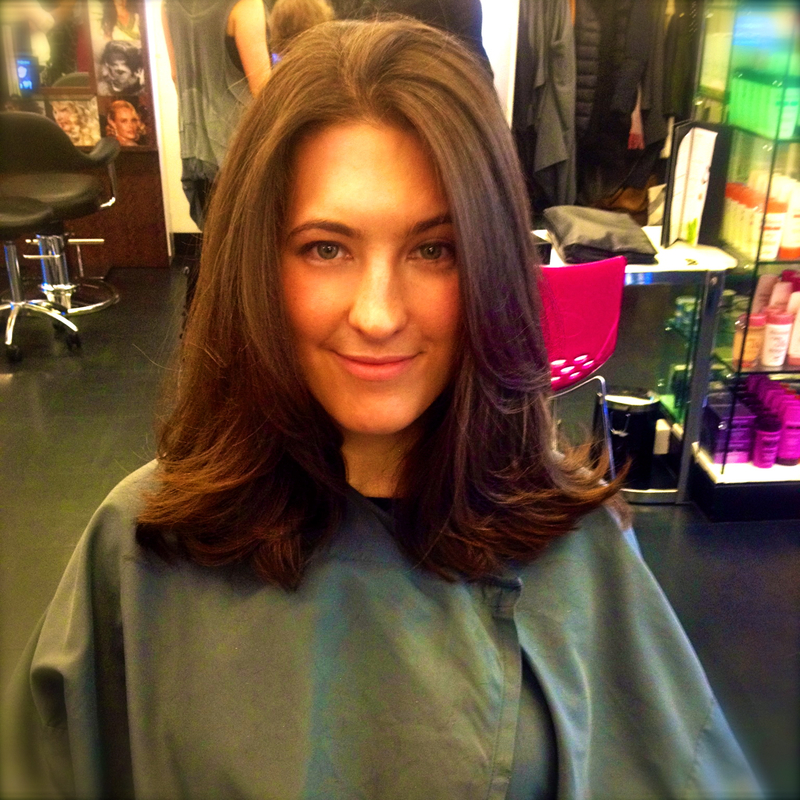 So I caved in and booked a trim and a blowout with Emma. So glad I did, because she was a doll.. who did a total makeover on my hair. First, Emma hooked me up with a freshly-pressed veggie detox juice from the menu. 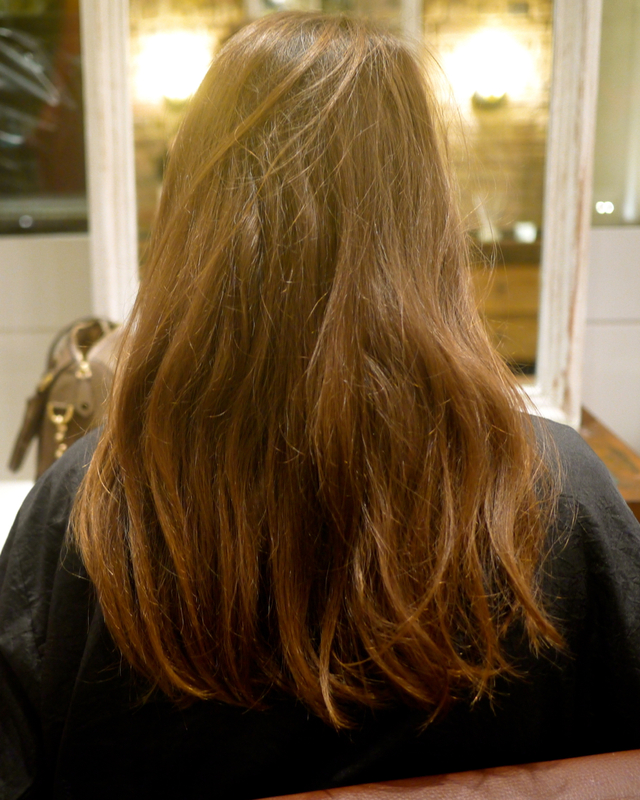 Then the wash, after which Emma applied a Kérastase hair mask. Can I just say, I’ve never had a more relaxing head massage? Maybe it’s my stressful life as a bride-to-be, but I swear reclining in that shampoo chair was the first time my mind’s felt clear all week! 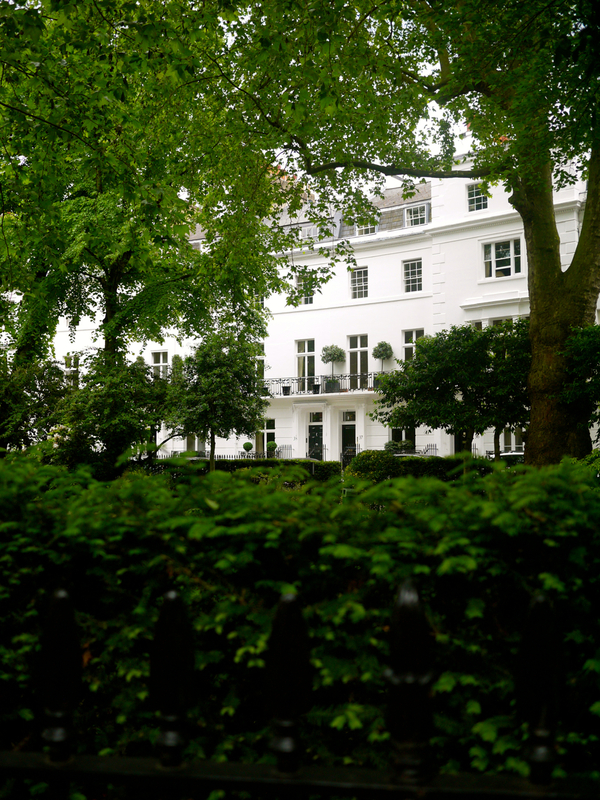 And so I had a bounce in my curls, as well as my step, as I made my way through Knightsbridge that afternoon. Getting more and more wedding-ready by the day! 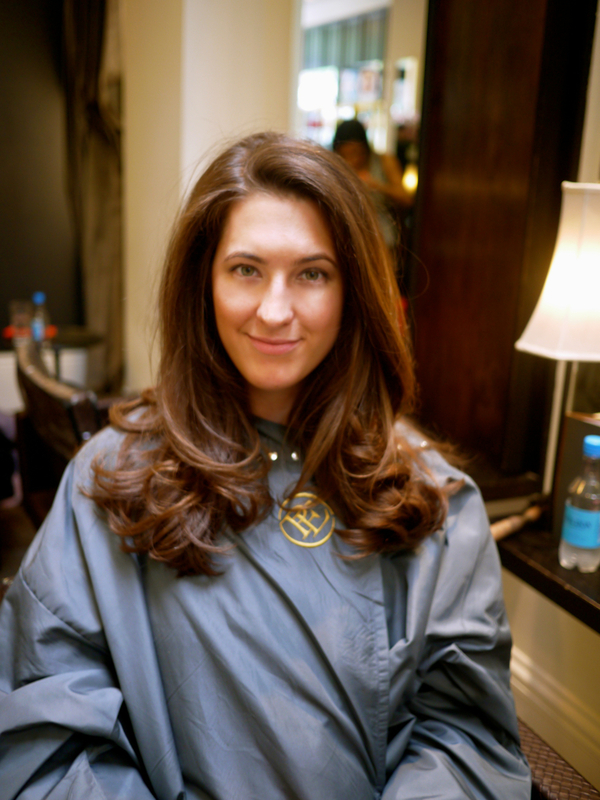 This entry was posted in Beauty, London and tagged American girl in London, bridal, Brompton Road, gift shopping, Knightsbridge, London, marriage, Paul Edmonds, pre-wedding hair, salon, V&A, wedding haircut, wedding planning on May 20, 2014 by godsavethescene. So I’m a beauty junkie. Sue me. It’s SPRING! And after a relentless winter, my skincare and beauty regimes could definitely use a shape-up. 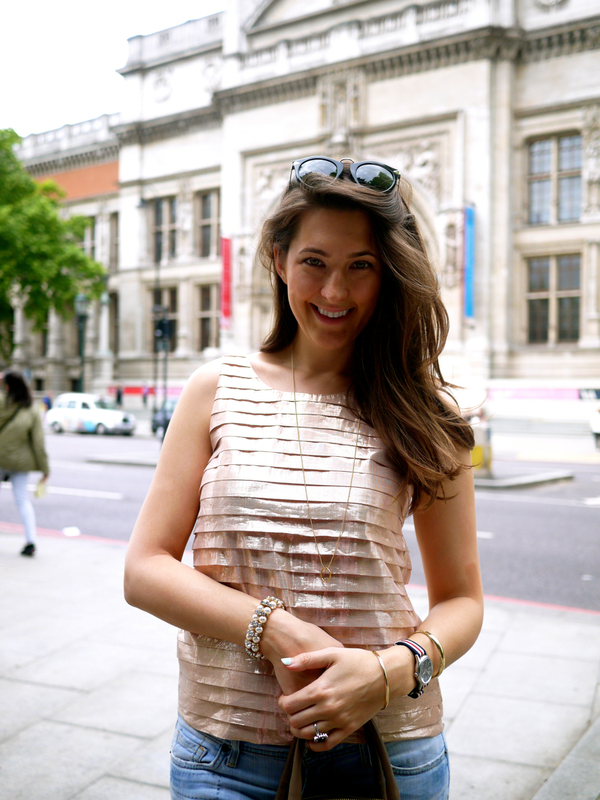 The Harvey Nichols beauty event comes at an opportune time. Usually, I just stock up in America or France, but in England it always takes a little swag to get me to cave. 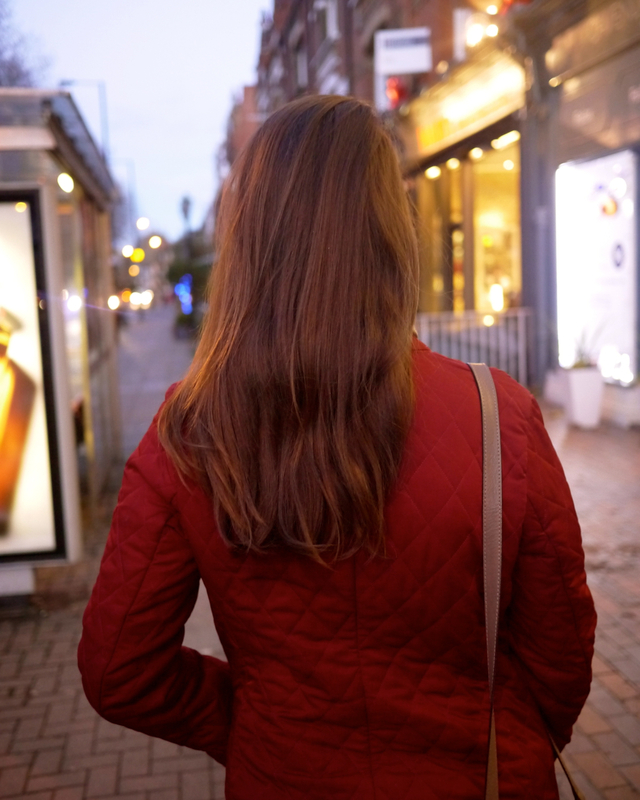 Afterall, it’s the only acceptable incentive to justify spending crazy insane London prices (and that pesky 20% VAT) on retail beauty products! Here’s the deal: spend £135 at Harvey Nichols this month, and you come out with quite a haul of free samples. Easy peasy. 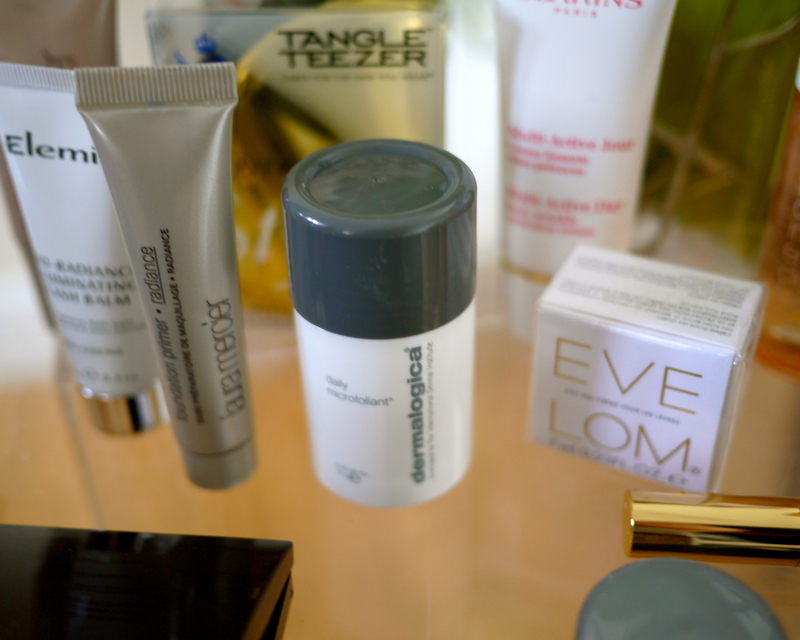 Here is a list of some of my must-have beauty products for spring! It’s a brand new fragrance from the fabled Maison Jean Patau and it’s heavenly! I bought it as my wedding fragrance, but I am already sneaking little spritzes here and there. It’s amazing. 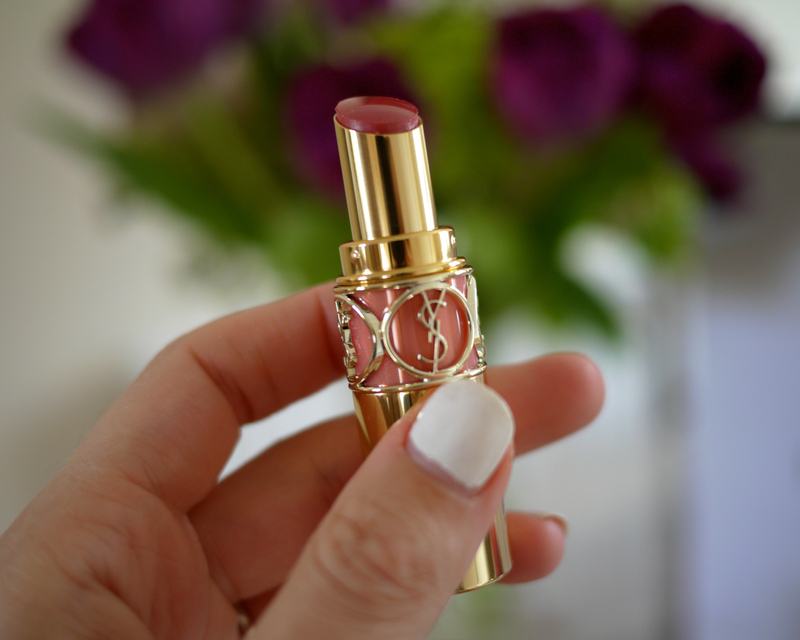 Another wedding day beauty essential which I’m happily road-testing this spring. It’s a lipstick, but it looks and feels like a gloss. Pinken your pout with this lush Pink In Confidence shade. 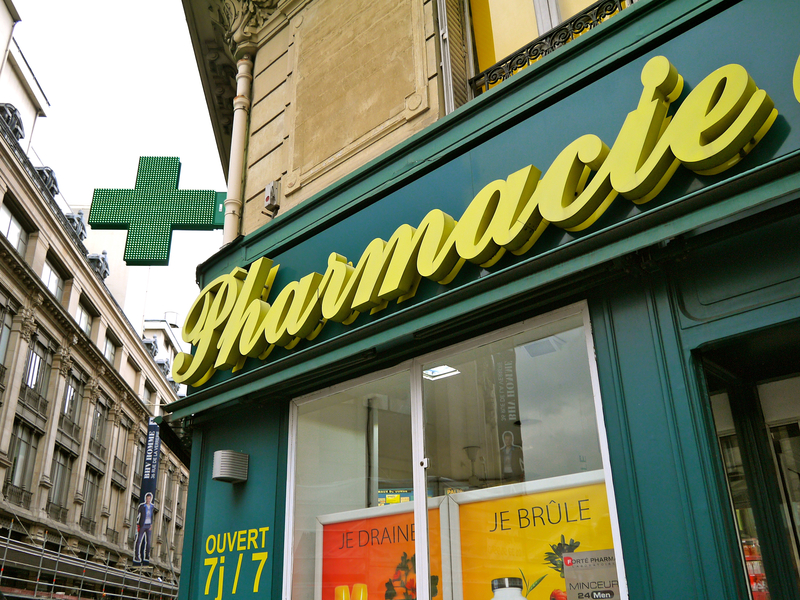 This company has a French name, but is actually a Japanese brand that has not yet emerged in the European market, despite turning out an exquisite spectrum of luxury beauty products for the last 30 years. These ultra-posh cotton pads are ensconced in natural silk fibers, exfoliating and aiding absorption as you apply your potions and lotions. 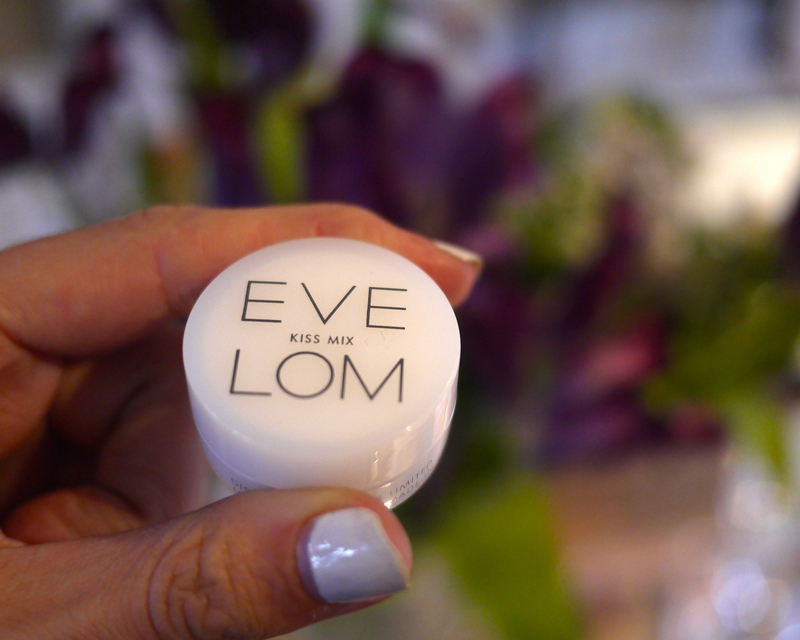 The best thing that’s ever happened to my dry, chapped lips. I’m slathering this on non-stop for spring. It heals and moisturizes like no other, and can also be used as a lipstick base. It’s already won numerous beauty awards, so it’s street-cred is completely locked down. And, gosh, it’s good! Brits call it “varnish” which sounds like a dented tin you’d find in a tool shed to my American ears. But actually this London brand makes perfectly good nail polish! 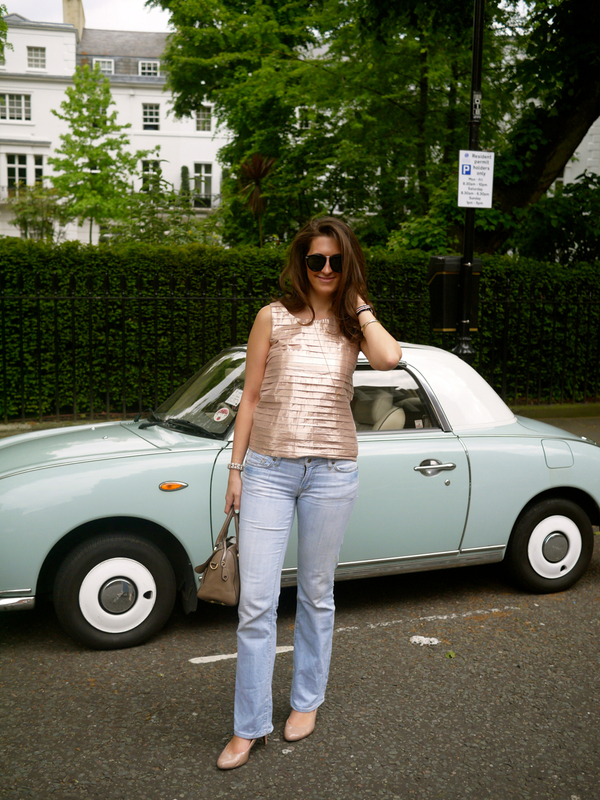 Love this feminine shade, Basil Street. This product was a free sample, which I’m already hooked on. You tap a little bit of this powder on wet hands, activating salicylic acid and rice enzymes and buff away! The creamy paste removes dead skin, and leaves you with bright rosy cheeks for that fresh springtime glow! 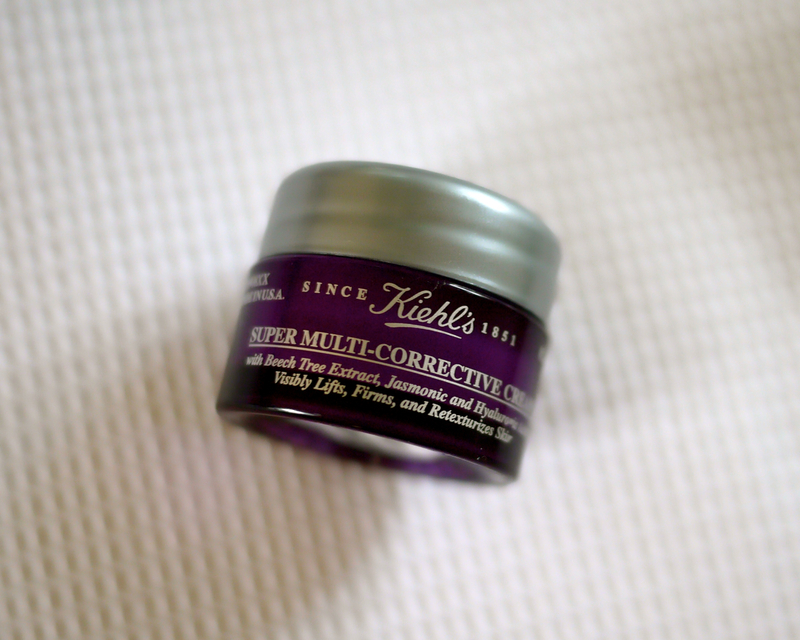 I’m using this daily corrective cream with gusto. I find it’s the perfect balm to boost my skin after a morning workout. I hate when products are pitched as “anti-aging”, since we all know there’s no such thing. 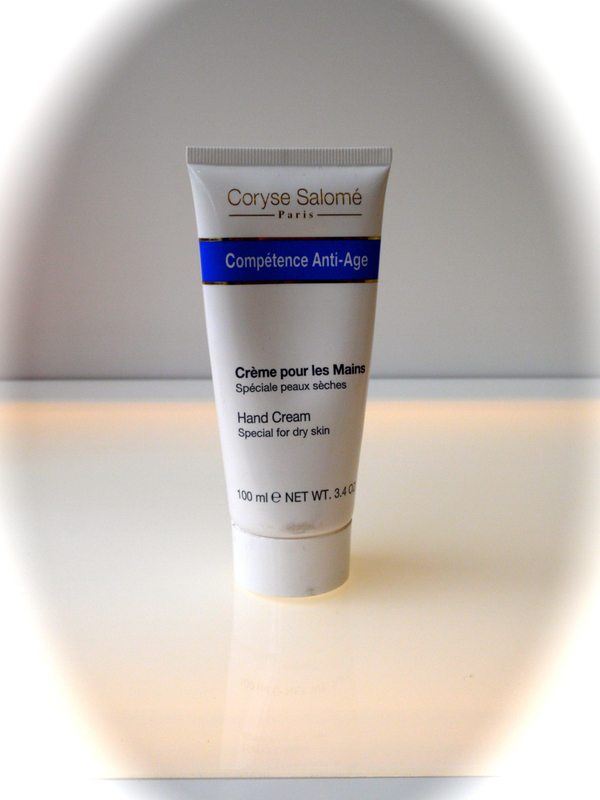 But I do believe this cream helps prevent damage to the skin that exercizing definitely does – especially to the face. And the zingy scent is like a little pinprick of aromatherapy to awaken my senses! These are two tools I can’t live without – and both are made in the UK. 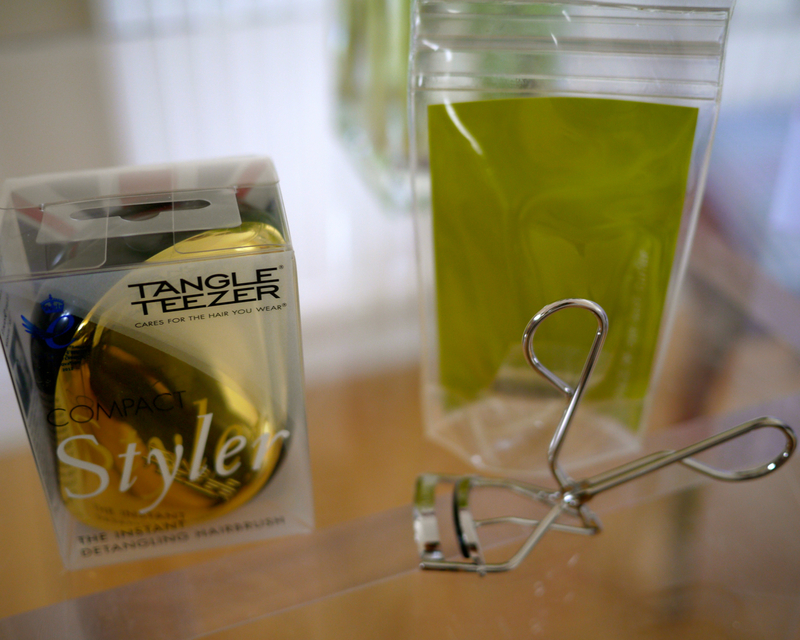 The instant detangling hairbrush now comes in a compact size in gold; it never leaves my gym bag. And for lashes… a simple, affordable whatchamacallit that gives your peepers that glamorous pop! Easy on your lashes, easy to use – these babies make it fuss-free. And drumroll…. now, it’s time to bring out the big guns. This two-step facial is the real McCoy of at home skin treatments. I can’t even to begin to unfurl the scroll of results this treatment delivers. I just had to give it a go on my busted winter-ravaged complexion. It worked like a treat! This is by far my favorite beauty buy for dewy spring skin. 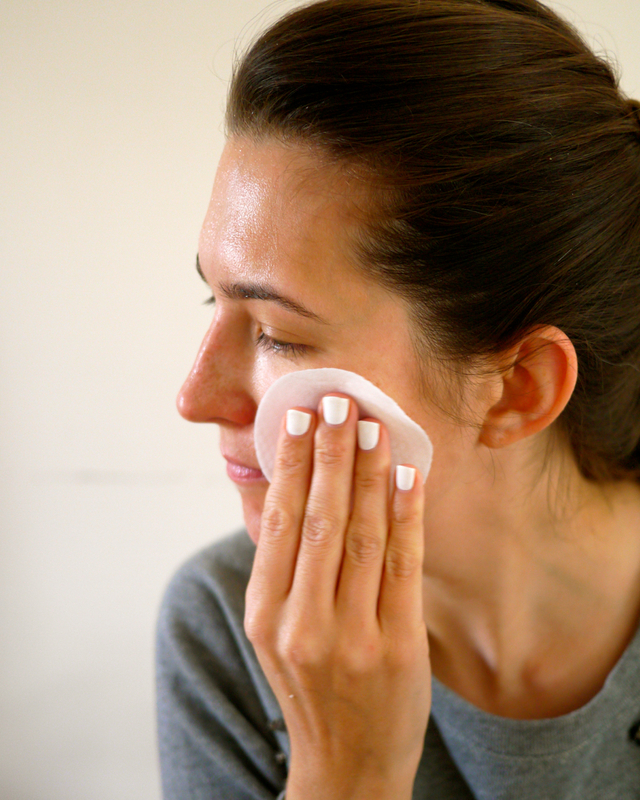 First, you prep your skin with a slightly scratchy cleansing pad. 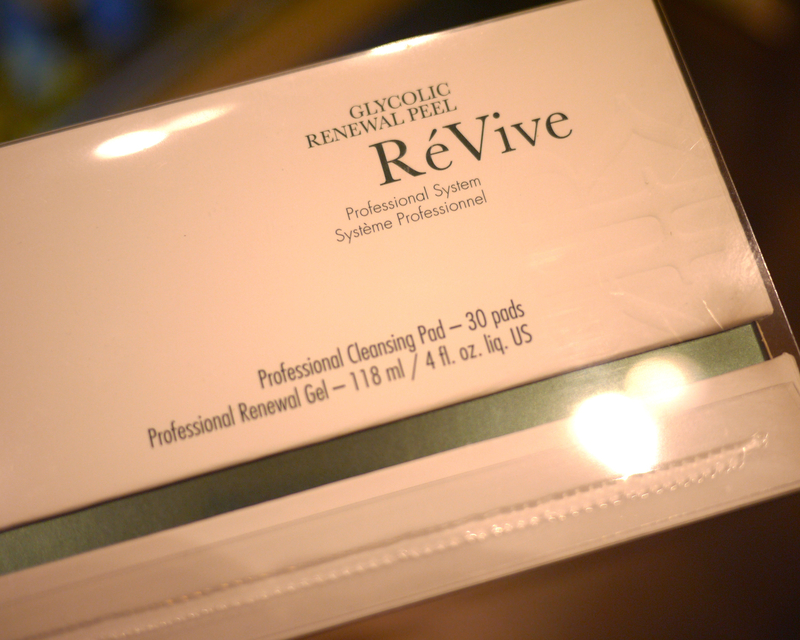 Then apply the glycolic serum and leave on for up to 5 minutes. You can feel a cool, tingly sensation almost immediately. Then pat dry and you’re ready for spring! I had to get outside and catch some of this golden afternoon! 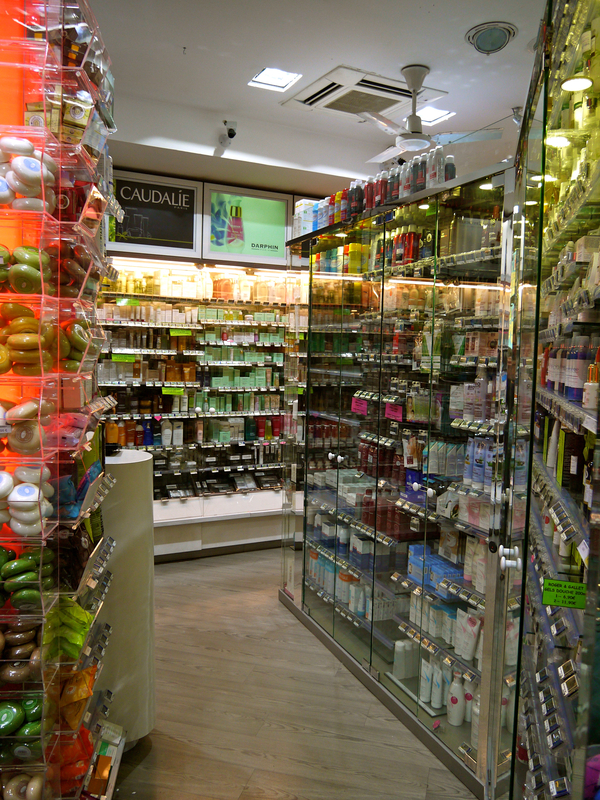 The Harvey Nichols Beauty Event is on through the weekend so there’s still time to pop in and stock up. What are you waiting for, beautiful? 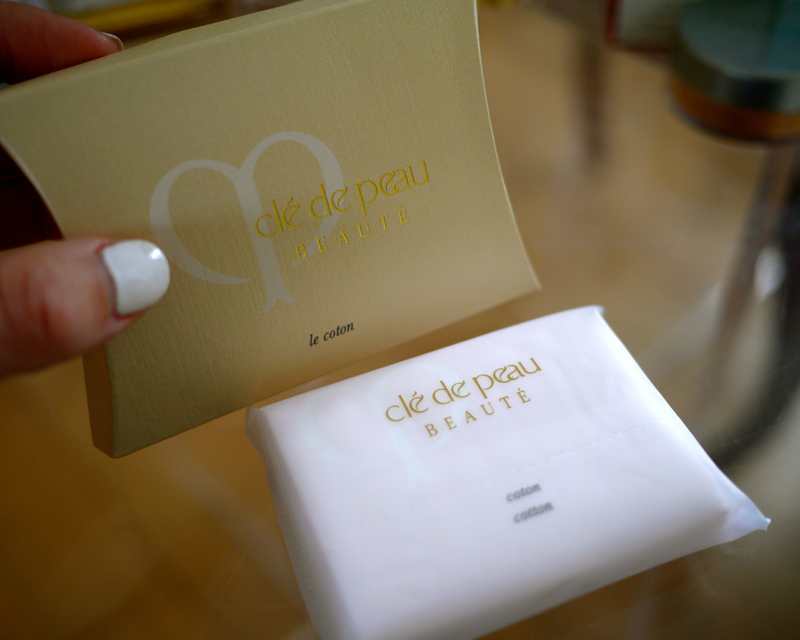 This entry was posted in Beauty and tagged beauty, beauty event, beauty products, Cle de Peau, cosmetics, Eve Lom, fragrance, free samples, glycolic renewal peel, Harvey Nichols, Jean Patou, Joy Forever, Kiehl's, Knightsbridge, London, products, ReVive, skincare, spring beauty, YSL on March 28, 2014 by godsavethescene. 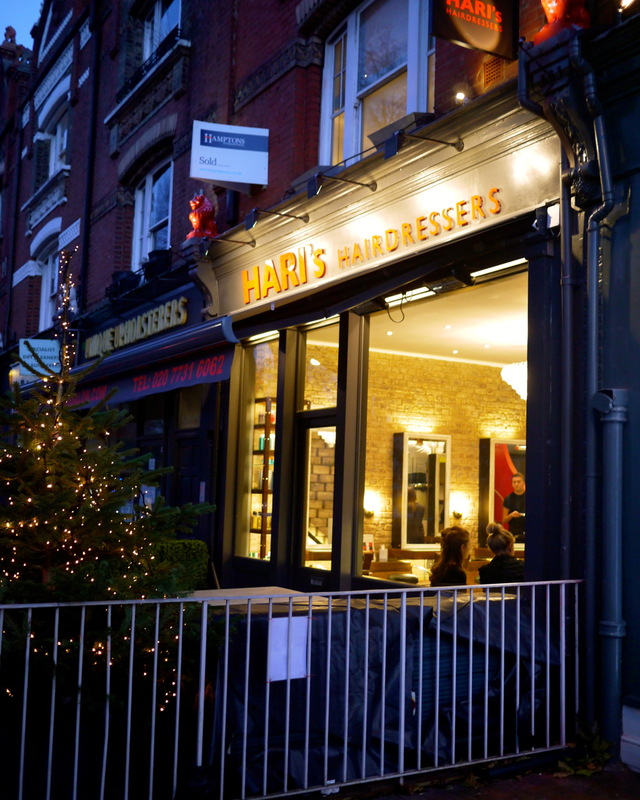 I’ve been going to Hari’s on the King’s Road since I moved to London. 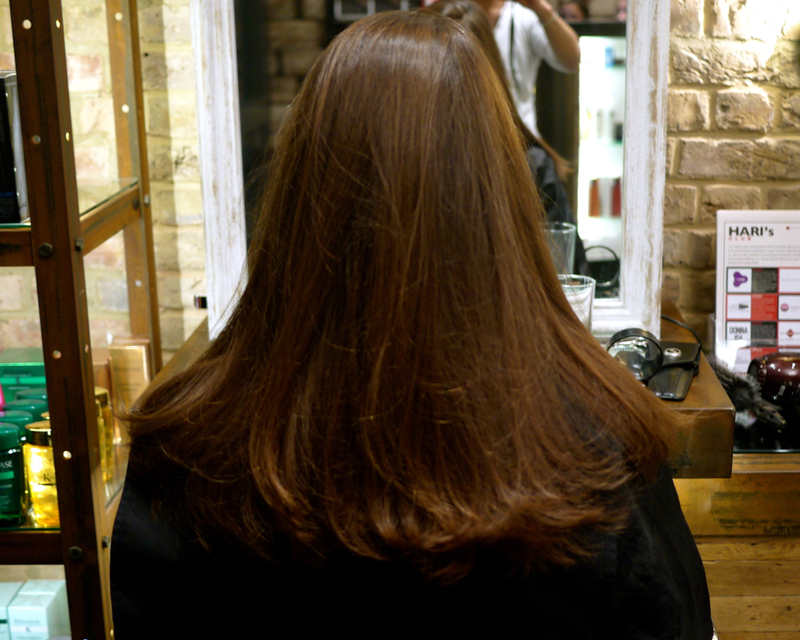 So I was overjoyed when they opened a new salon in Parsons Green just in time for my yearly cut! The staff at Hari’s are great. They’re young, they’re fun, they’re adventurous. Every time I go in, I kind of wish I worked in a hair salon. I picture myself as a popular stylist, gossiping with my celebrity clients and trendy colleagues all day – not to mention the endless experimentation I could do with my hair… Downton-inspired fingerwave up-dos, 50s pin-up girl curls, or maybe even a choppy fire engine red dye-job à la my favorite film heroine, Lola from Run Lola Run. 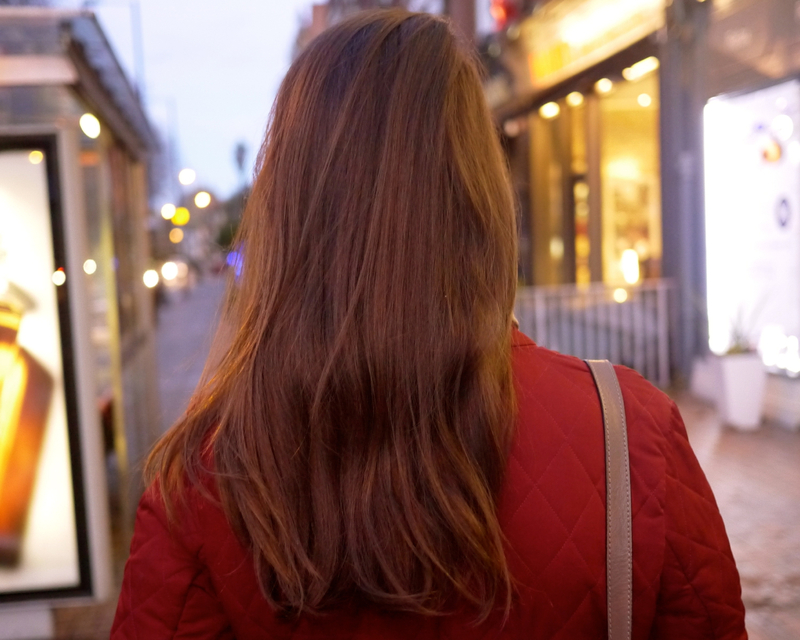 This time I went in, the girls at Hari’s had thin feathers weaved into their locks, making me a bit green-eyed as the cape snapped on for my standard trim. I’m not ready to do anything drastic to my hair. Quite frankly, I probably never will be. 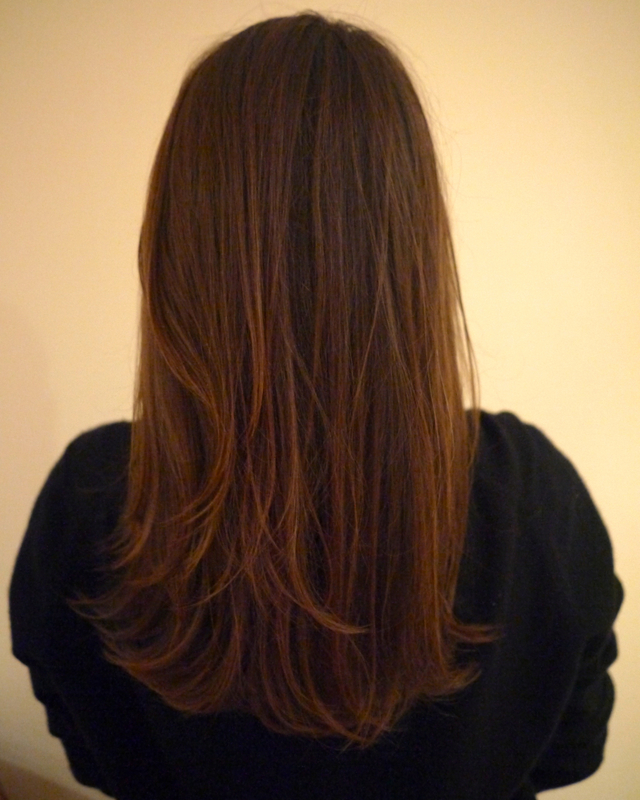 I like my long brunette locks just fine. 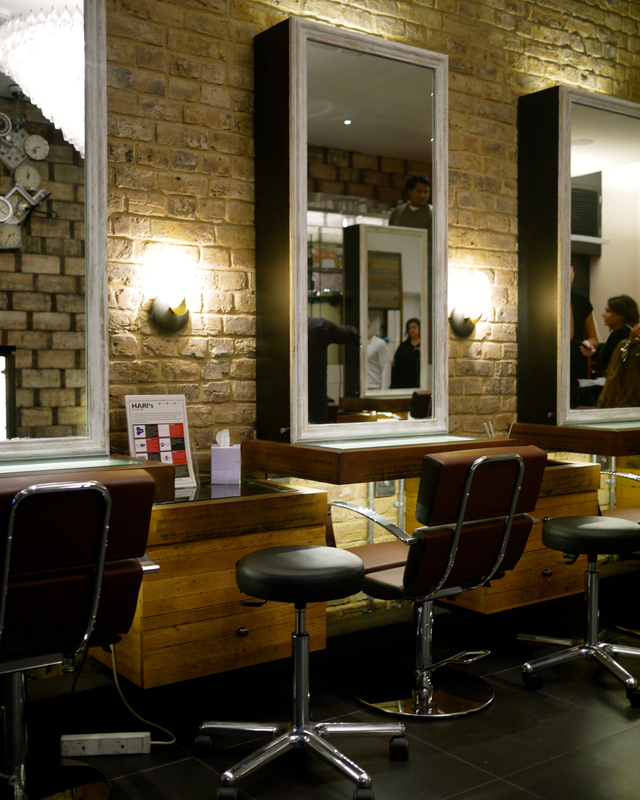 But they were getting a bit scruffy – time for a holiday touch-up. And, violá! 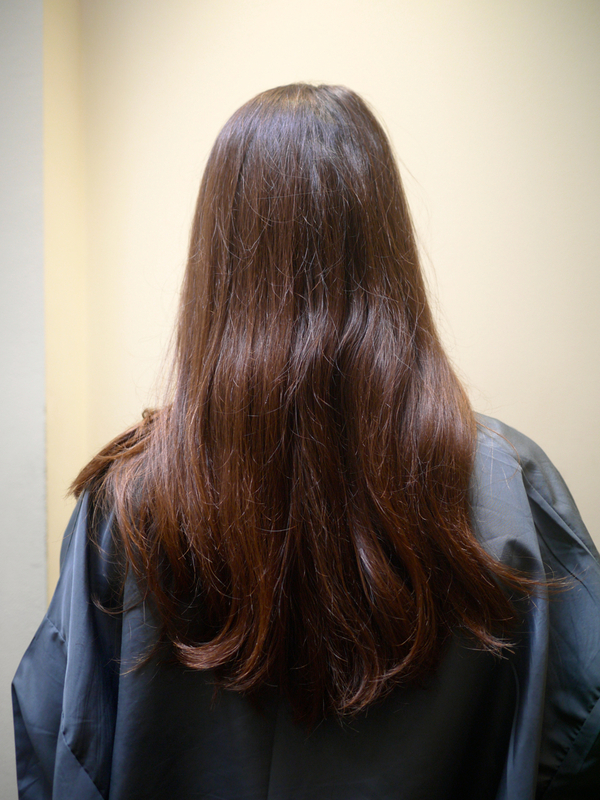 My hair’s lighter, shinier and feeling fab! 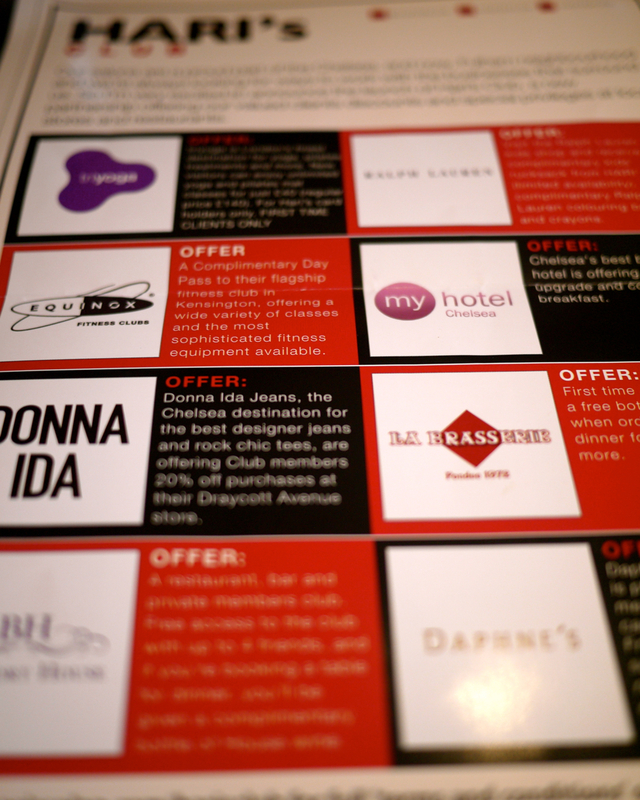 While there, I was inducted into Hari’s Club – the loyalty program that just launched, and links up Hari’s customers with other local businesses (such as Equinox gym, Ralph Lauren, and Beaufort House private member’s club). 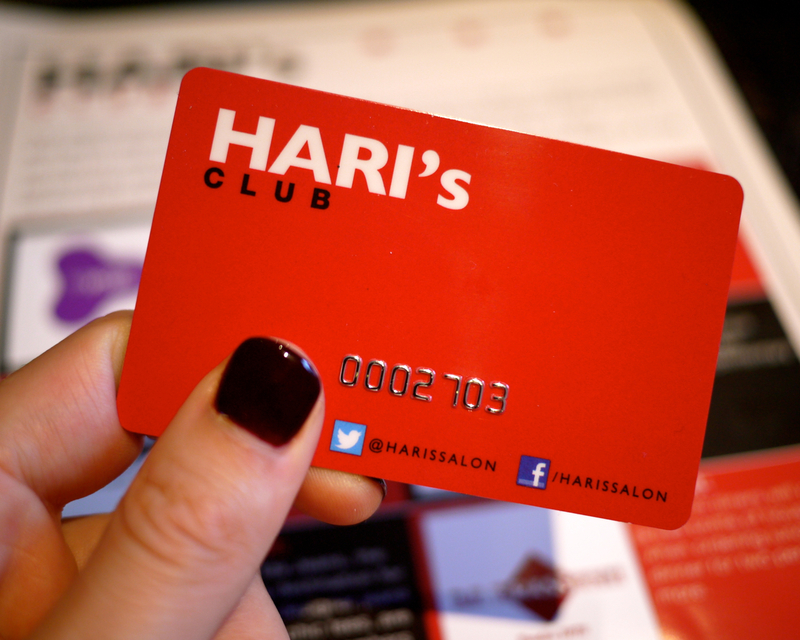 Hari’s also runs monthly promotions – It’s totally worth signing up! 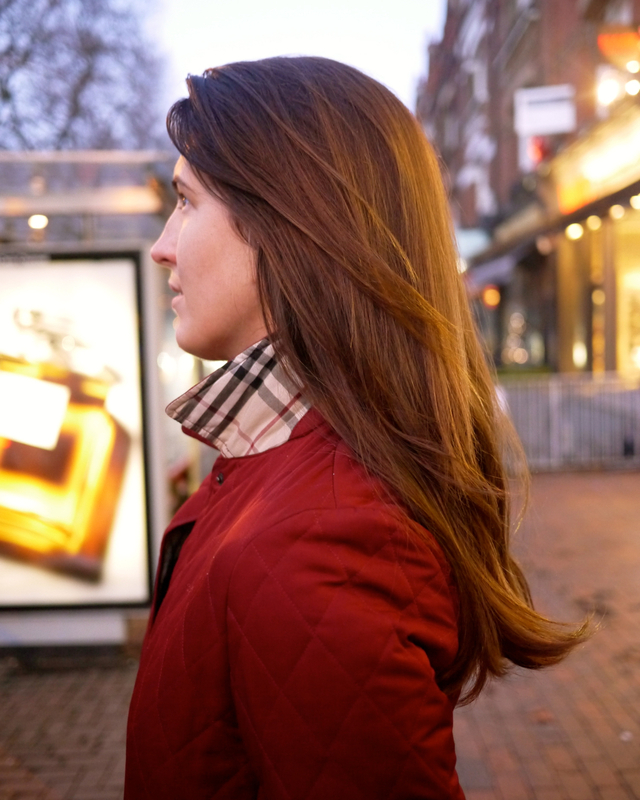 What better way to welcome the New Year than with a sleek new do with perks? 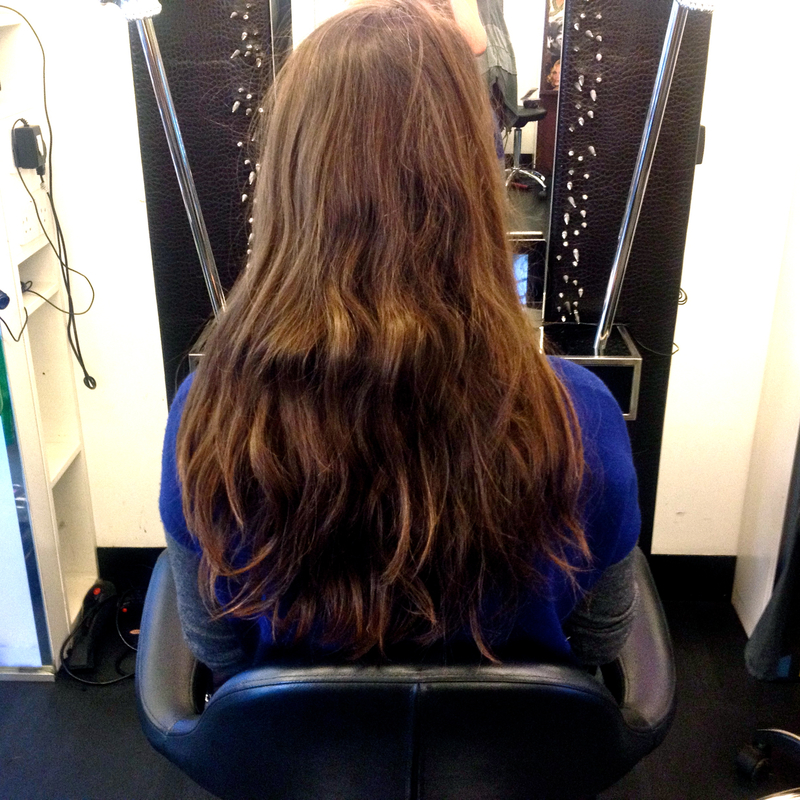 This entry was posted in Beauty, London and tagged American girl in London, beauty, before and after, Equinox gym, hair salon, haircut, Hari's, London, Parsons Green, salon, trim on December 30, 2013 by godsavethescene. Life in London wreaks havoc on your skin, so I’m constantly slathering on this hand cream for dry skin. I once read a hand model say she avoids washing her hands except in the morning and night since it’s so damaging to the skin, but I work in an office so I have to wash mine often to fend off bugs circulating in the workplace. Therefore, I keep a tube of this on my desk and use repeatedly throughout the day. 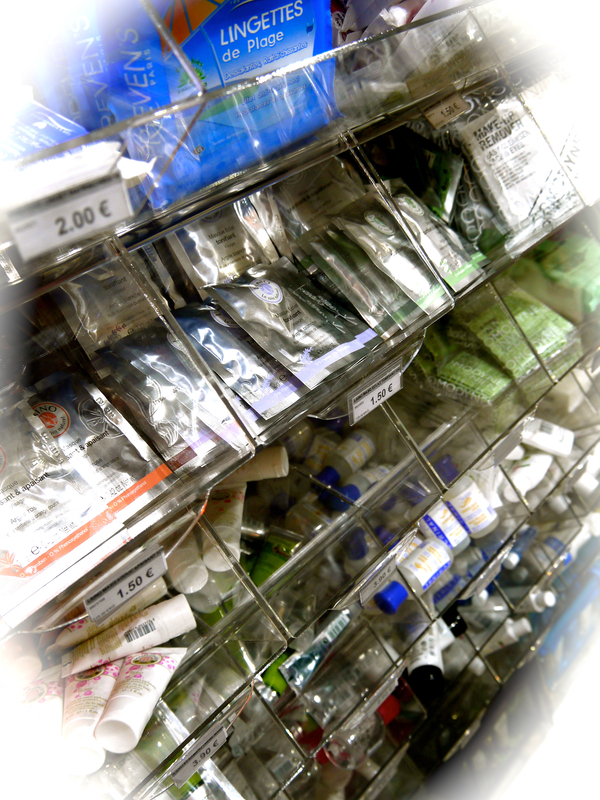 It is especially soothing around the nailbeds. This is right up there with the best luxury brand moisturizers I’ve tried. Whisper-light and instantly restorative – a travel bag staple. 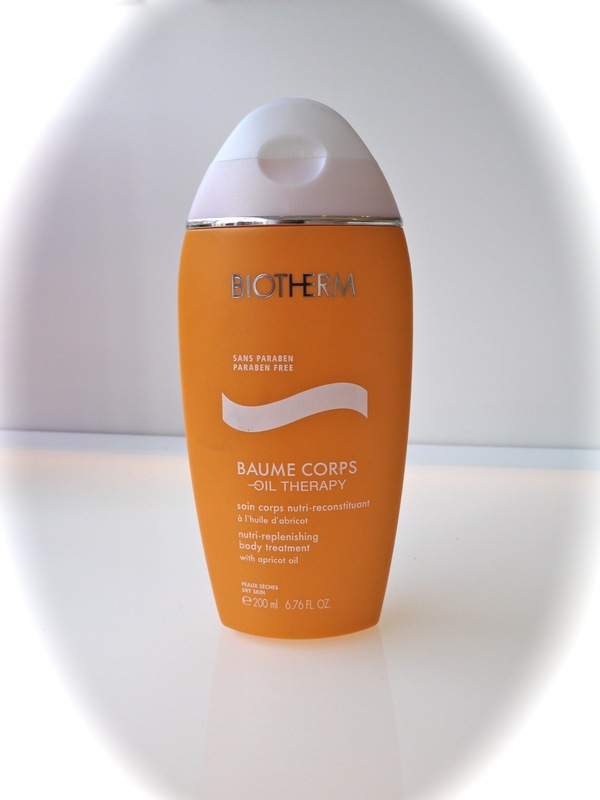 The apricot oil in this lotion leaves my legs polished and shiny – they actually gleam. This skin cleanser/make-up remover is phenomenal. And so cheap! 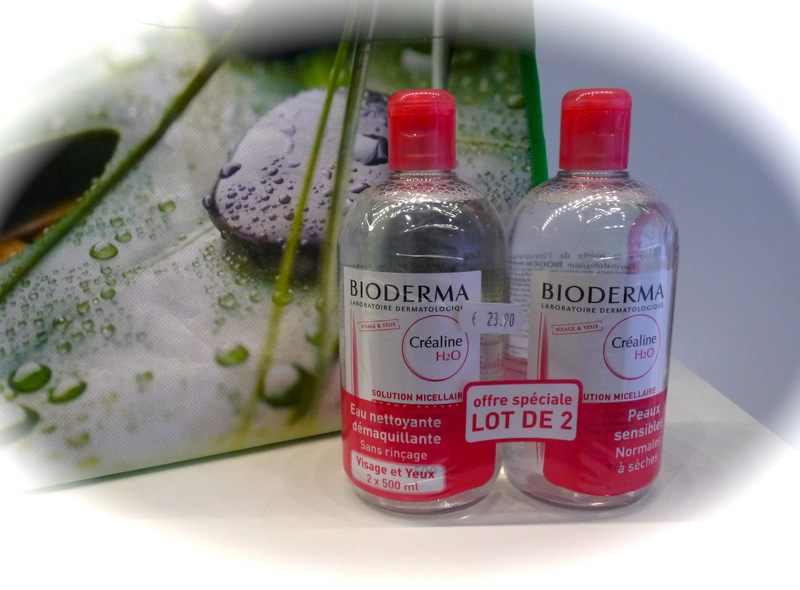 Dab a few drops on a cotton pad and it strips every last speck of dirt and trace of cosmetics from your skin. It feels like water, but leaves your face squeaky clean. A gym bag essential. Also great for beachy hair – squeeze the plastic bottle and spray little puffs of this powder onto lifeless or greasy hair. Leave on 2 minutes then brush through. 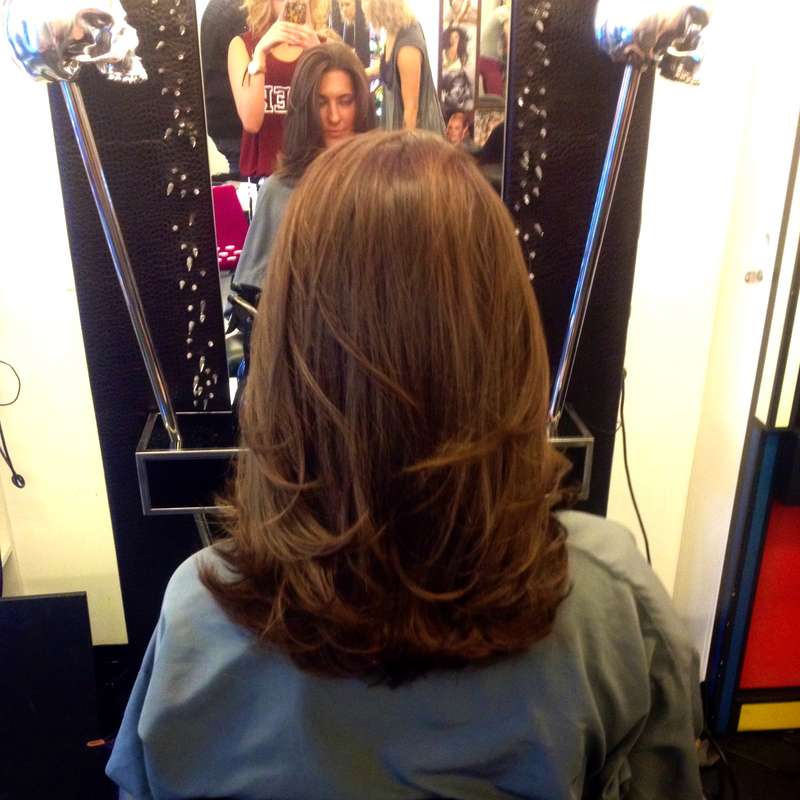 Clean, conditioned hair with a little bit of volume at the roots. Soothing, indeed – with a slight firming effect, leaves skin dewy. 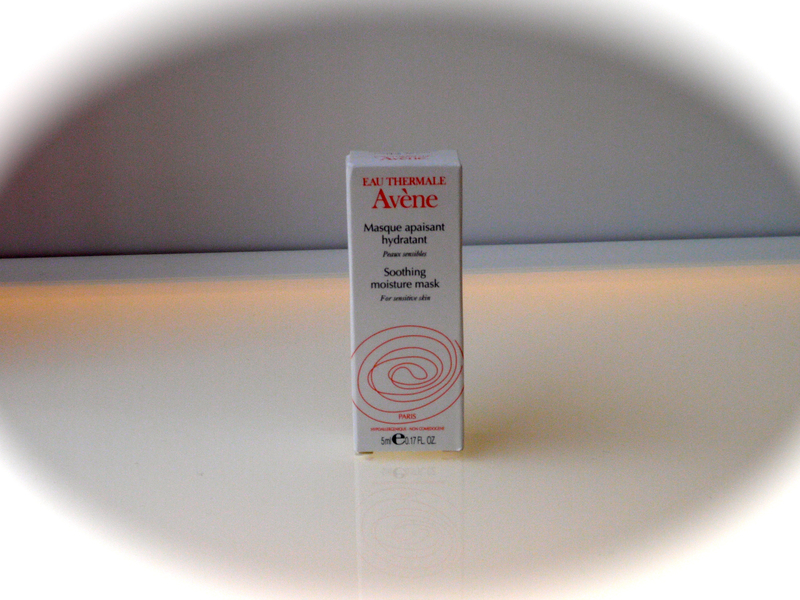 Apply to face, leave on for 10 minutes, then lightly mist face with Avène Eau Thermale (see below). 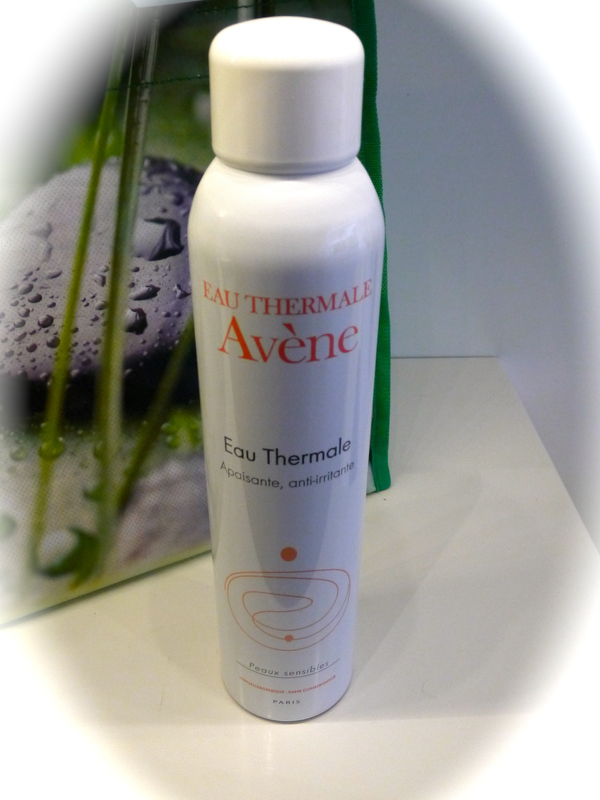 Sourced from a thermal spring, this water spray is full of minerals which soften and sooth skin. Spritz it on by the pool in the summer heat for a tingly refresh. I would recommend using it after waxing or shaving. 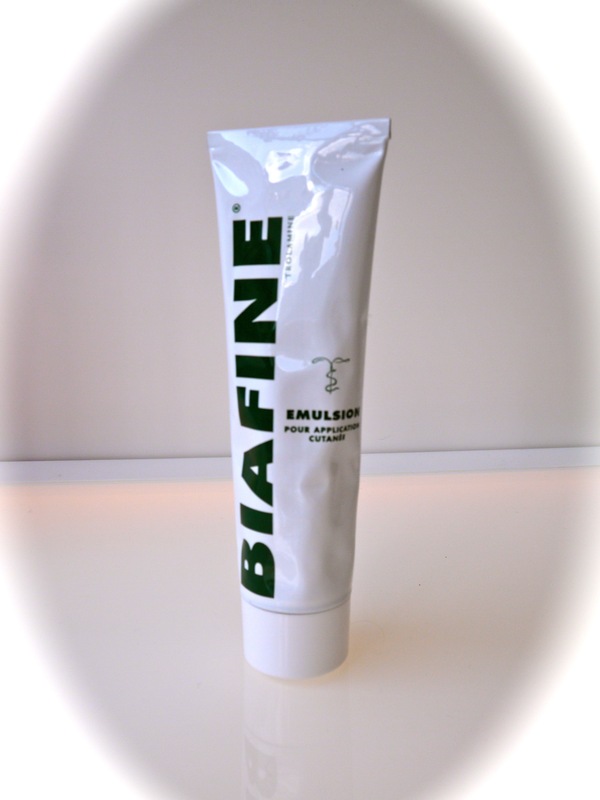 Biafine works with the body’s own natural healing processes to treat compromised skin through macrophage recruitment. 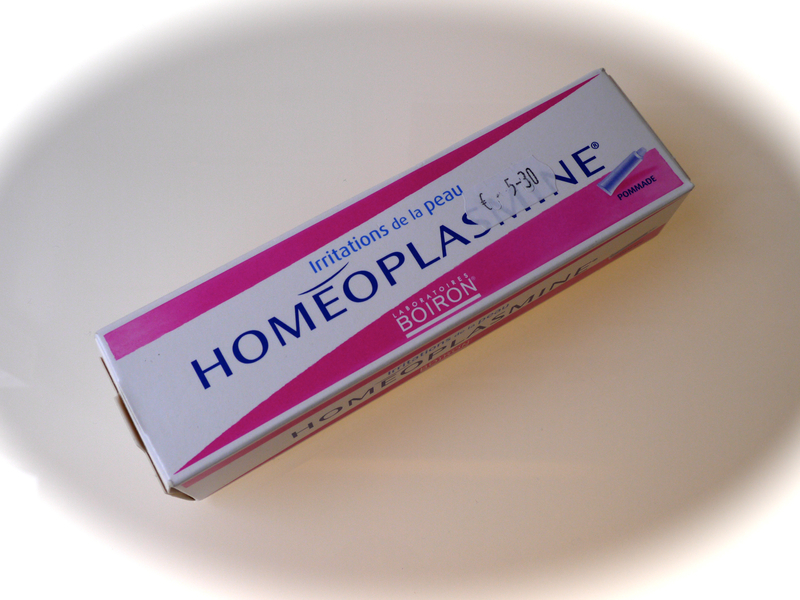 I don’t normally get sunburn, but I am highly susceptible to heat rash (prickly heat) on my neck and chest – this cream is great for soothing burns and can clear up redness and bumps. I also dab on the occasional boo-boo as it helps little cuts and scrapes heal faster. 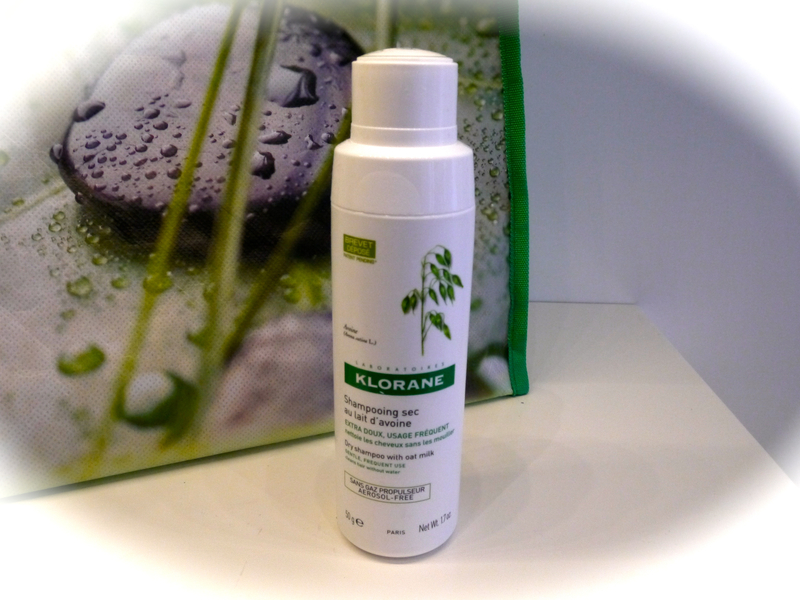 Vanquish dry and chapped skin – great for refurbishing elbows and heels. I also use to lessen redness around my nose. If you’re traveling by plane, check to make sure products aren’t over the carry-on size. There are no restrictions on the Eurostar that I know of – so go nuts! 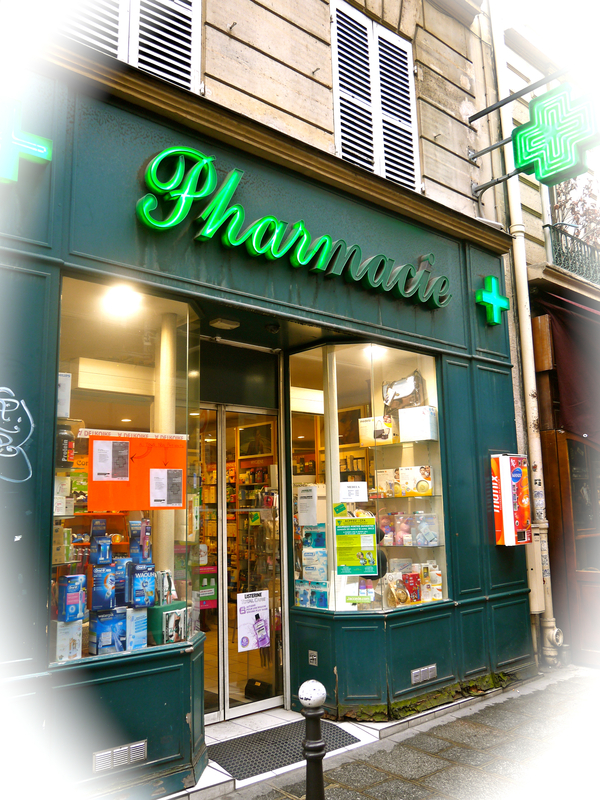 This entry was posted in Beauty and tagged American girl in Paris, beauty, dry shampoo, essentials, French brands, French pharmacy, gym bag, hand cream, lip balm, lotion, moisturizer, Paris, pharmacie, products, skin repair, travel, travel bag on May 22, 2013 by godsavethescene. I’m not a hair maintenance person. I get my hair styled no more than twice per year. 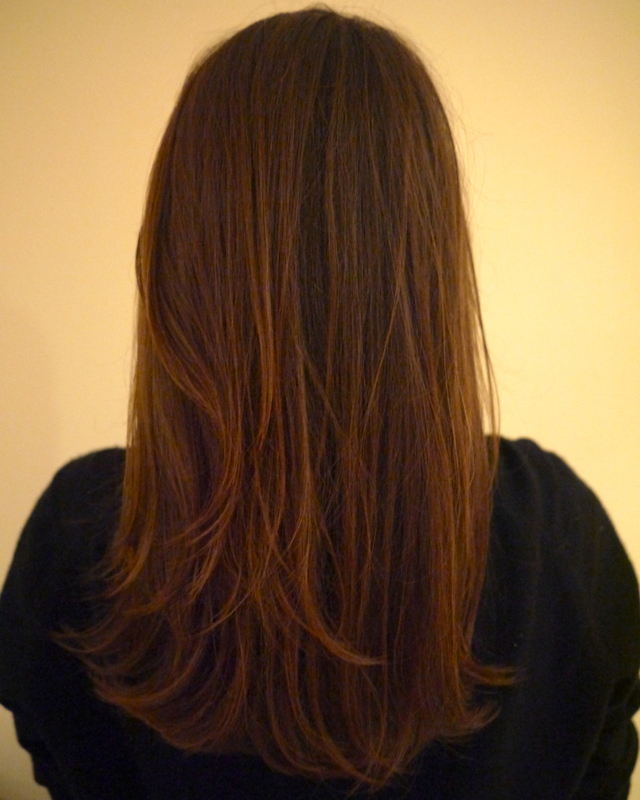 I loved having long hair, but because I never fuss about it, over time it’s ended up looking totally exhausted. I could not bear the thought of getting to Easter and still having this boring, busted ‘do. 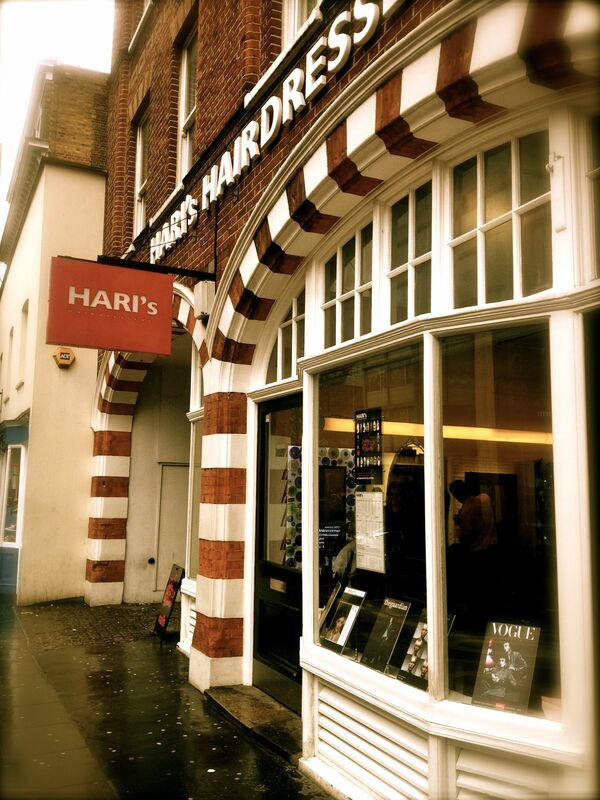 So I booked in for my yearly hair repair at Hari’s. 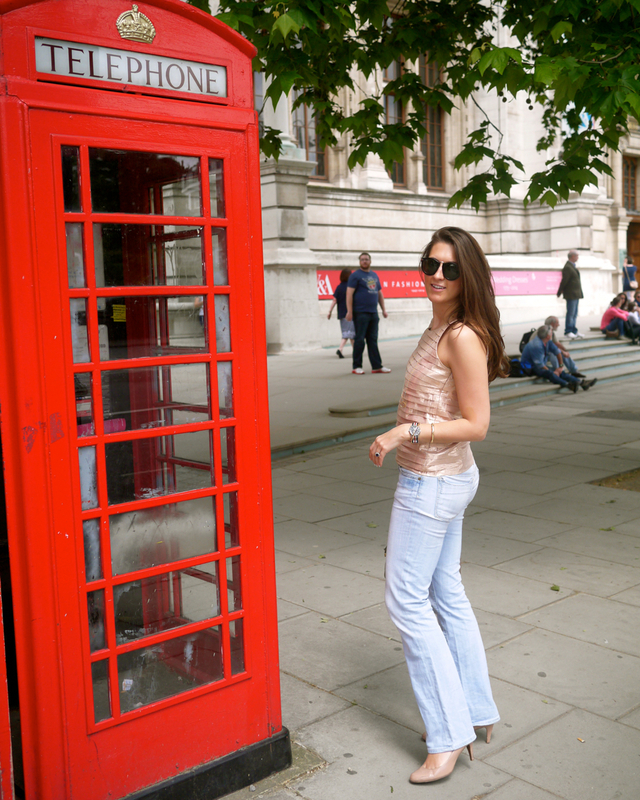 I’ve been coming here since I moved to London. It has two locations: the original on Brompton Road in South Kensington, and this one on King’s Road, which I like to think is the hipper, edgier one. This is a place I can come and surrender my hair with no anxiety about getting 5 inches chopped off or worries that I did not explain exactly what style I’m after, because they never go wrong. I didn’t realise how long it had grown! 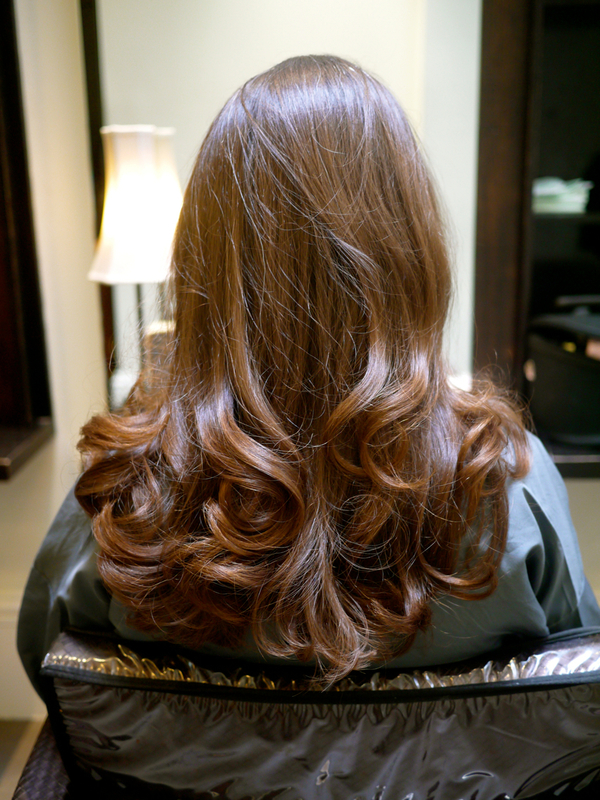 There’s no better feeling than breezing out of the salon feeling “light-headed” with the delicious fragrance of new products in your hair! 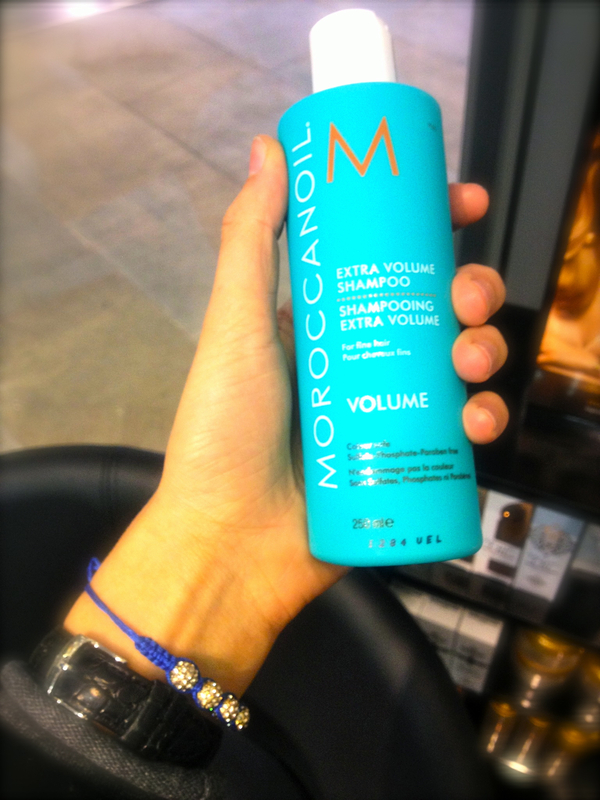 Hari’s uses Moroccanoil products. I may need to stock up on this stuff! 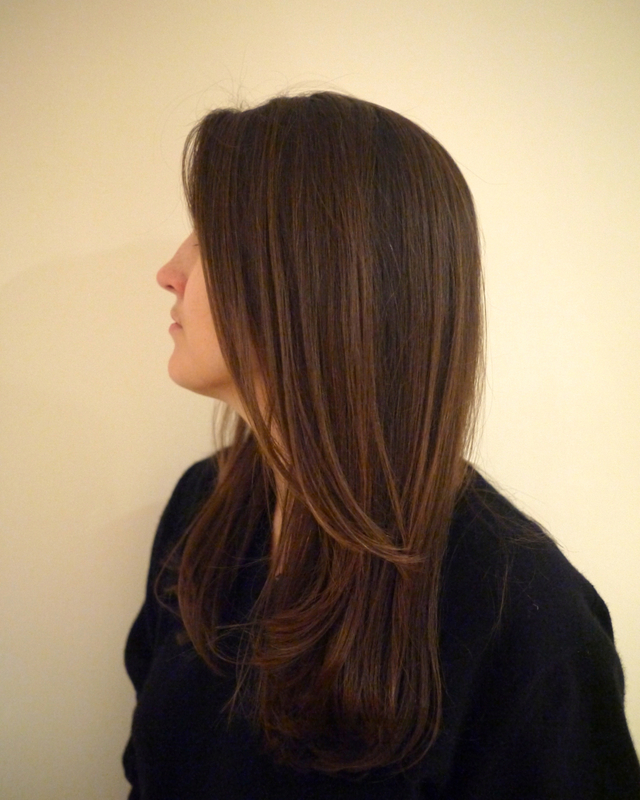 This entry was posted in Beauty, Style and tagged before and after, Chelsea, hair salon, haircut, Hari's, King's Road, London, Moroccanoil, style on March 20, 2013 by godsavethescene.